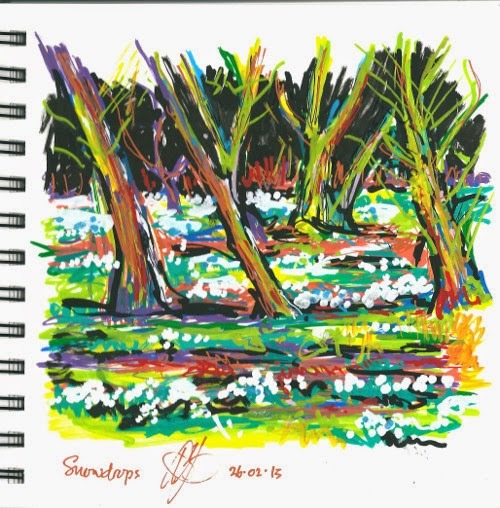 Add in the relative remoteness of the location (a hamlet near Kintbury in Berkshire), the fact that it is privately owned, and a vagueness about the possibility and means of access, and it turned into a little adventure. As it happened, Rose and I were able to drive to within a few hundred metres and the door was unlocked, so it was a very easy adventure. The soggy weather persuaded us to concentrate on the interior, which was no hardship. It may be small and, on the face of it, quite plain, but there was more than enough to keep us both occupied for the duration and to encourage a return visit. 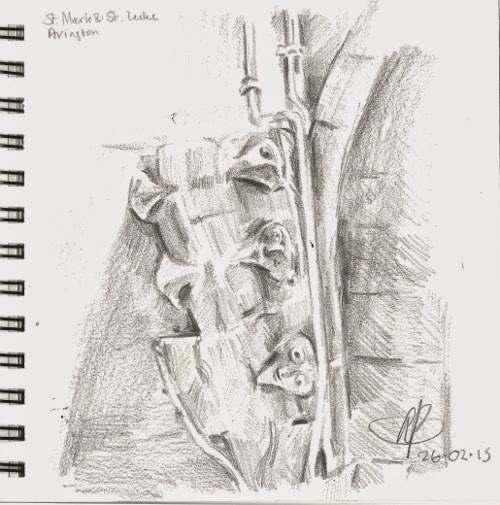 I was struck by the vertebrae-like appearance of the stone chancel arch (a fragment of which is shown in my pencil drawing at the top of this post). The fact that the bumps were actually faces (worn by time) was not immediately apparent. 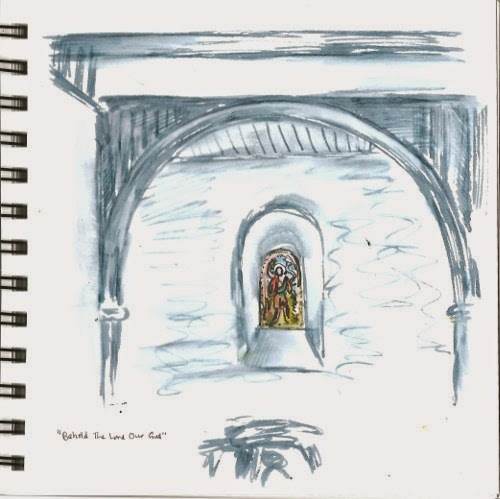 My next drawing emphasises the simplicity of the building, but I could not resist throwing some colour into the glorious little stained glass window. We moved back out to the porch and were both taken by the recessed quatrefoil openings. 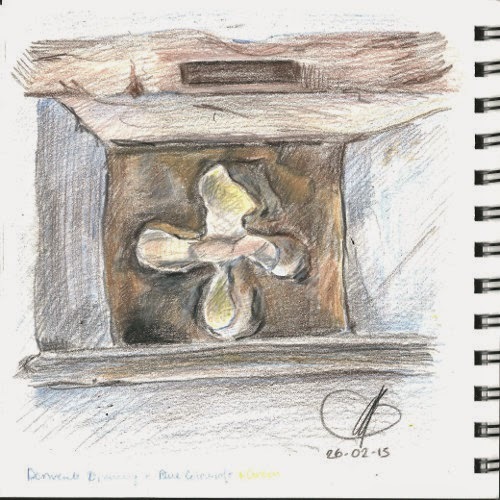 My drawing concentrates on the distressed stonework; the view through the opening is stonework on another part of the church building. Rose did her own, speedy, version of this quatrefoil. You can see it on her blog, here.